Even if hanging ten isn't in your getaway plans, you can soak up some of the beach-close flavor at the swanky-funky hotel. 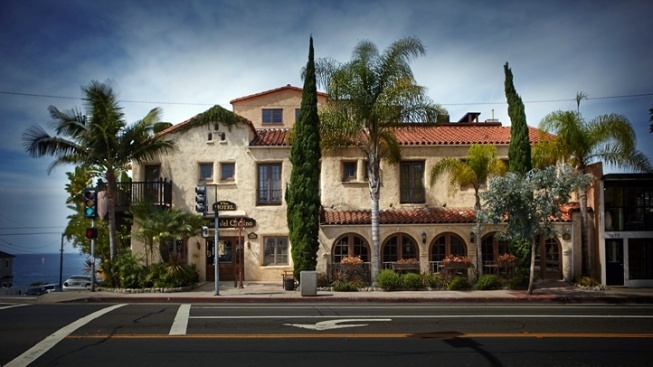 Going Laguna and you want a hotel with surf-sweet flavor that's not too far from the beach? You got it. THE SPIRIT OF THE SURF: Ever spent a day at the beach, only to return home, or to a pal's pad, or to a hotel that was decidedly unsurfly? It's totally cool, and all that: Your place and your friend's abode and other spots to bed down are probably highly stylish, very comfortable, and full of notable design touches and sweet comforts. But once and while a traveler desires Full-On Beach-a-tude, as in sand in the daytime and surf-like sights later that night as they wind down. It turns out that hanging ten is a passion understood by some of California's ocean-town-y hotels, locations that have upped the surf style inside the structure. "UNIQUELY DESIGNED"... room that pays homage to the Pacific, to boards, to big waves, and to the sandy-footed life. In fact, you just might see a favorite surf or skate brand in your room; each Surf Room incorporates the vibe of the designers and brands that make the clothing and gear often seen out on the waves. There are classic rooms, too, that align with the Spanish architecture, and the view-lovely Rooftop Lounge, which welcomes pups. Hangin' loose, hotel-style? It can be done, in one of the Golden State's beachiest burgs, inside a truly historic gem.